If you're looking for fanfiction about The Avengers, John Steed, Dr Keel, Cathy Gale, Emma Peel, Tara King, Mike Gambit and Purdey - you have come to the right place. Most of the stories are rated by the author. Stories rated ADULT/MATURE or 18+/21 are only for people older than 18 or 21! By opening these links you automatically consent/affirm that you are, in fact, 18 or older and that you understand the nature of the material and that you're old enough to read these stories! What is the The Avengers Fanfiction Archive? 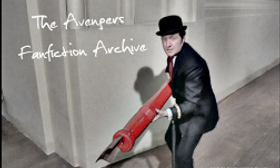 The archive contains resurrected fiction previously published at lost websites, old and brand new fanfiction written by fans of the British TV series 'The Avengers'. The archive carries on from where Patti Smith's (Patty Patt's) Fan Fiction Library left off. All stories belong to their authors. Copyright for the original TV series THE AVENGERS and all characters from the series: Copyright © CANAL+IMAGE UK Ltd and respective licence holders. No attempt to infringe this copyright is intended. The stories on this site do not belong to me, but to their original authors. I'm not responsible of any linked external sites or for the content of the stories. Some of them which were not available for a longer time elsewhere have been remastered. Many thanks to Sinus who remastered the files, to Maud and all, who sent me stories or a summary. If you own one of these files and wish it to be removed, please mail me.